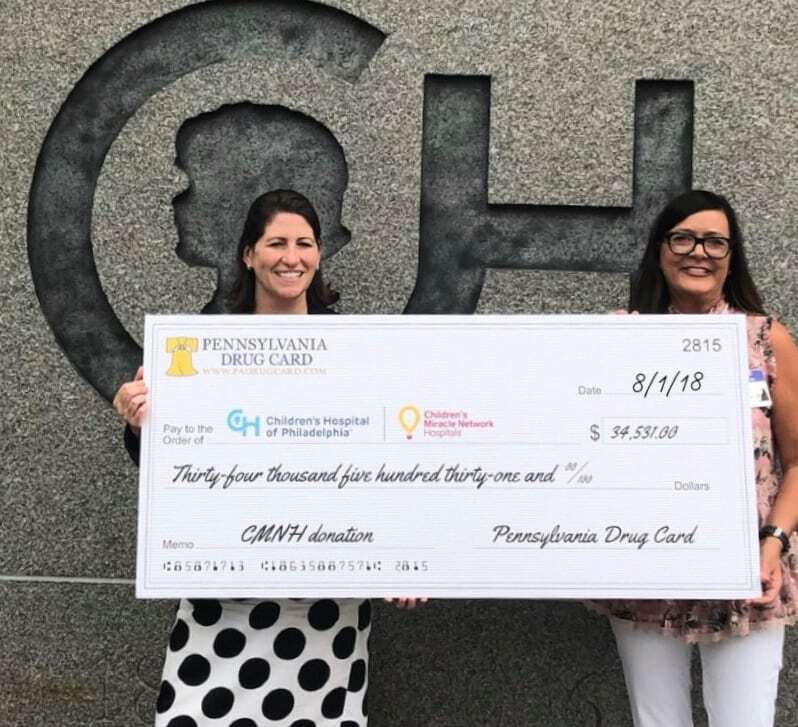 Pennsylvania Drug Card presented a generous donation in the amount of $34,531 to Children’s Hospital of Philadelphia (CHOP). CHOP is the nation’s first hospital devoted exclusively to the care of children. Since its start in 1855, CHOP has grown to provide treatment to families from all over the world for complex medical conditions. Today, CHOP has more than 1 million visits per year and is also home to the largest pediatric research facility in the United States. Pictured is Julia Wilcoff, Director, Children’s Miracle Network and Heidi Barousse, Pennsylvania Drug Card. Since 2015, the United Networks of America partnership with Children’s Miracle Network Hospitals has raised over $2.4 million dollars for local children’s hospitals. Of this, $34,531 has been raised for Children’s Hospital of Philadelphia.